Los Angeles (AFP) - Mixed martial arts star Ronda Rousey said Friday she will face female boxer Holly Holm in her next title bout early in 2016. Rousey, the biggest global star on the UFC circuit, told ABC television's Good Morning America she will face Holm in Las Vegas on January 2. "I'll be fighting Holly Holm, who is actually the most decorated striker we have in all of Mixed Martial Arts," said Rousey. "She is definitely my biggest challenge to date so I'm super excited about it." 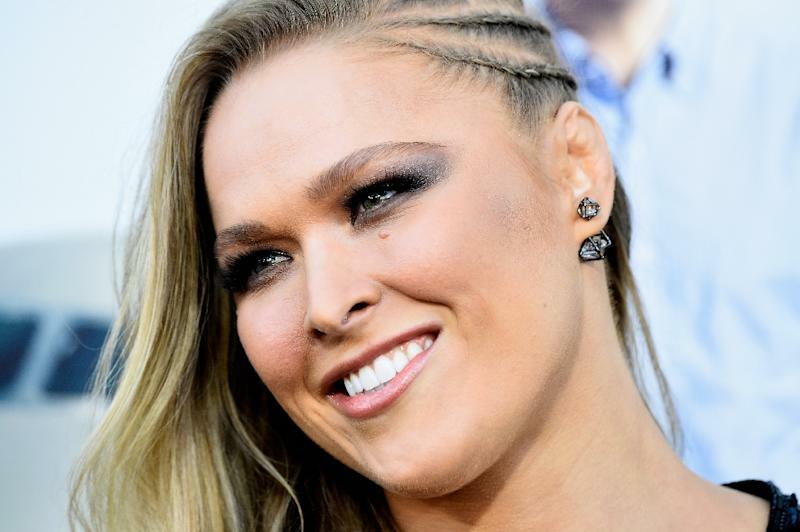 Rousey, 28, has become one of the most prominent athletes in American sport after a series of explosive performances that have earned her comparisons to former heavyweight boxer Mike Tyson. The bantamweight fighter and former Olympic judoka claimed her latest opponent earlier this month in Rio de Janeiro, destroying Brazilian opponent Bethe Correia in just 34 seconds. The unbeaten Rousey said she expects a tougher fight against Holm, who is 9-0. "She's the type that is ready to go 12 boxing rounds. She's not the average chick that I would fight," Rousey told ABC. "She's the best striker I've ever fought and striking is something I learned much later in my career."